TWAICB Director Sandy Sohcot sends some thoughts and images from Balboa High School’s December 8 presentation celebrating the Universal Declaration of Human Rights, and the first decade of The World As It Could Be Human Rights Education Program. Sandy reports: The 90 minute assembly was an inspiring celebration of our 10 year anniversary, with the participating students offering a range of creative reflections on the importance of the UDHR in addressing today’s challenges. Over 60 students were involved in presenting and producing the assembly! 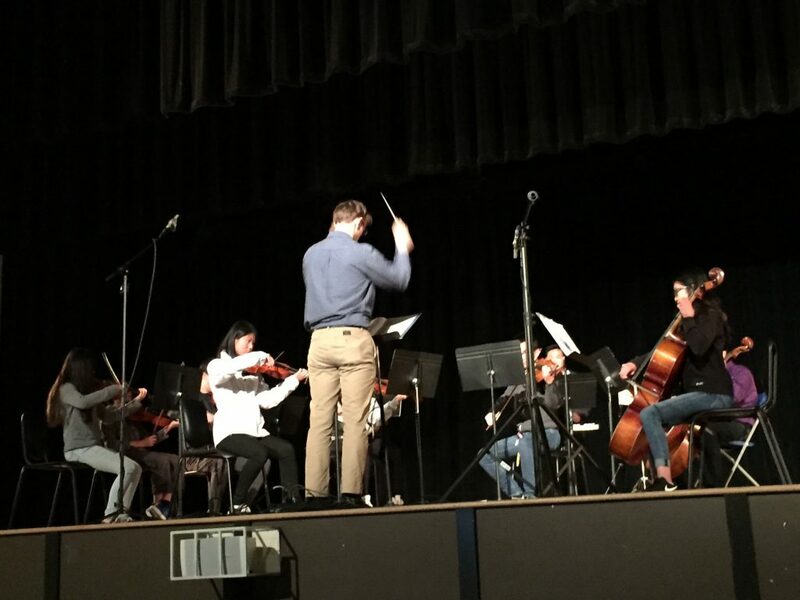 Here’s the Balboa orchestra opening the Assembly with a medley of songs from Wicked, relating to the human rights of Elphaba (who became the Wicked Witch of the West), ostracized for her green skin color (being different). Here’s a scene from “The Mistake,” a short play co-written by Kandace Bishop and Fei Chen, on left. 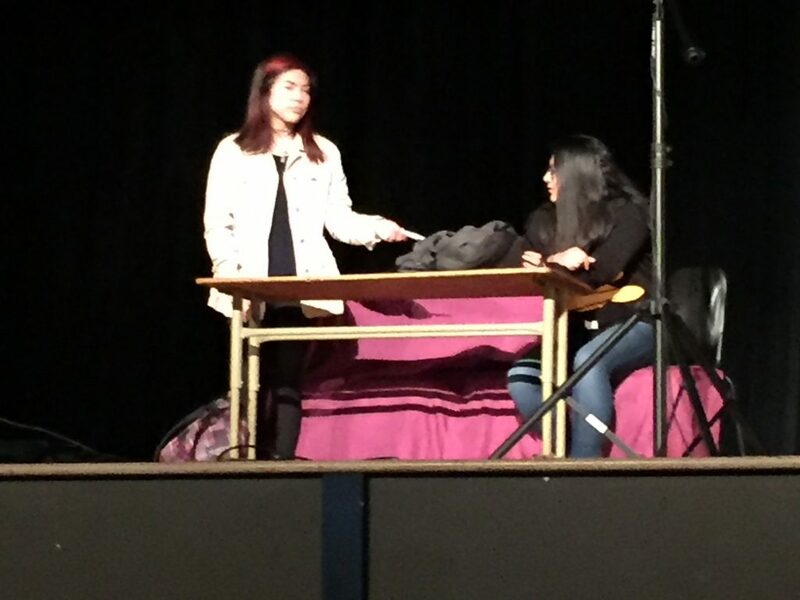 The play is about a 17-year old student whose positive pregnancy test puts her in a life dilemma, facing a decision connected to her rights to an education and to meaningful work, as well as her right to adequately care for herself and the baby. Ultimately she finds support from her school counselor to help her think through her choices.